dam, a photo by jahansell on Flickr. 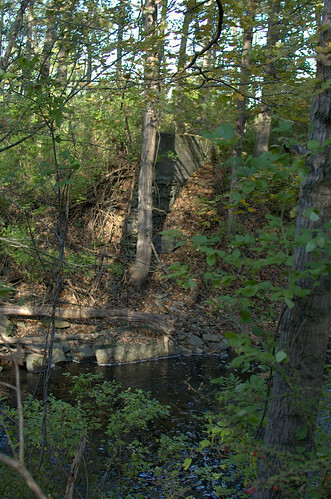 I had the opportunity recently to take some photos of an old dam about a mile below the southwest end of Mudge Pond. This spot is just off Silver Lake Shore road, and you can see the wall that once was there. George Doty invited me to help him document the dam, which was owned by relatives of his 100 years ago.